AKLEGAL is well-organized Team of passionate and involved lawyers, whose personality, excellent professional references, ethical standards and excellent manners ensure individual approach, personal involvement and efficiency in operation. The AKLEGAL Team, having advocate Artur Krzykowski, PhD, as its leader, is composed of several advocates, legal advisors, patent agents and tax advisors, with full professional privileges who keep upgrading their qualifications, selected according to the key competencies of various specializations, so that we have on board experts from many, including very narrow areas of law. 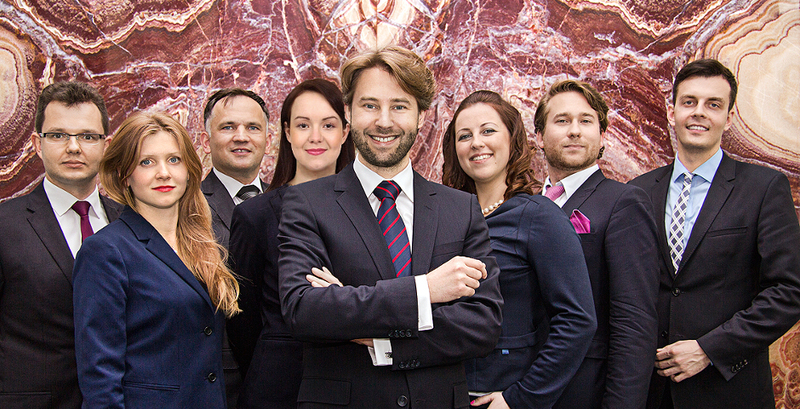 AKLEGAL are professionals with years of experience, lawyers (advocate Piotr Żukowski, advocate Marta Olga Krzykowska, advocate Maciej Krasiński, advocate Piotr Kubicki, advocate Piotr Łapiński), legal advisers (r.pr. Kamil Kozubek , r.pr. Michael Kaczorowski, r.pr Maciej Karolak), patent attorneys (Paszko Carolina), tax advisors (Wojciech Gut). In our daily work we cooperate also with legal trainees, assistants and office staff. AKLEGAL remains in constant contact with sworn translators, notaries, judicial officers and experts, for whose immediate and substantial assistance can always count our Clients. We cooperate with specialists in various areas of the law, as well as with other law firms in Poland and abroad. Composition of the Law Firm gives us the ability to provide comprehensive legal services in all areas of law, both large corporate clients as well as individual clients. We pride ourselves on the fact that all matters entrusted to us, are personally conducted exclusively by lawyers with full professional privileges. We cooperate with specialists in various areas of the law, as well as with other law firms in Poland and abroad.